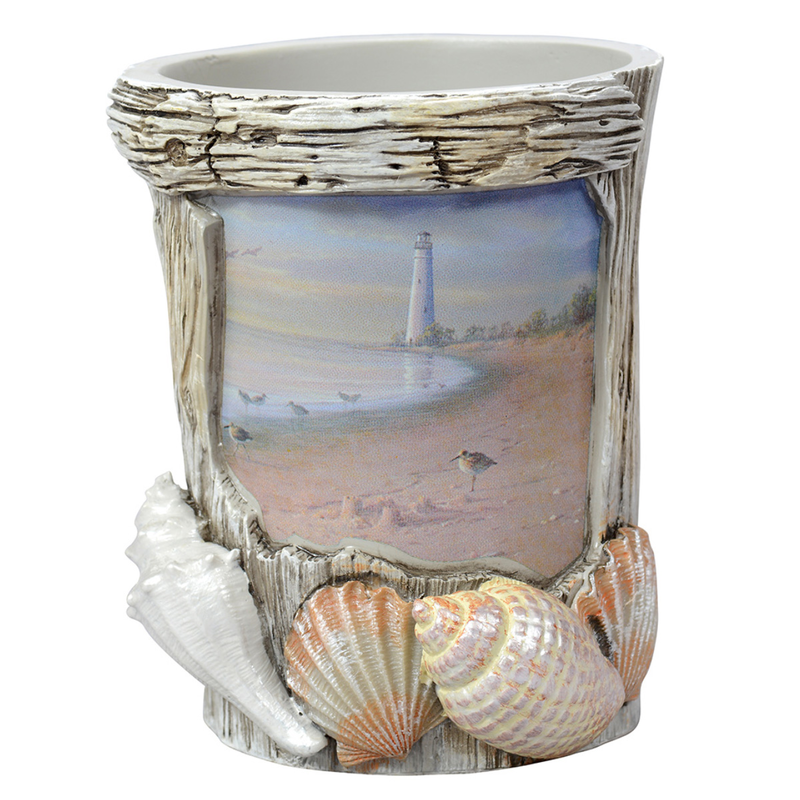 A Bella Coastal D�cor Exclusive - Resin tumbler with beach scenes, pearlized shells and a driftwood look. 4"Dia. x 4 3/4"H.